Larch Wood / News / Larch Wood Wolfville Recycles. Bring Us Your Conditioner Container. Larch Wood Wolfville Recycles. Bring Us Your Conditioner Container. Now that we have a little store in Wolfville we are able to offer a simple service. Bring in your empty can of board conditioner and yes – we can fill it and yes – you get it for less! You don’t have to go far to get the best conditioner for your end grain board and you get it for a better price so we encourage you to recycle the container. You do need to bring in your empty and we will fill it on the spot. 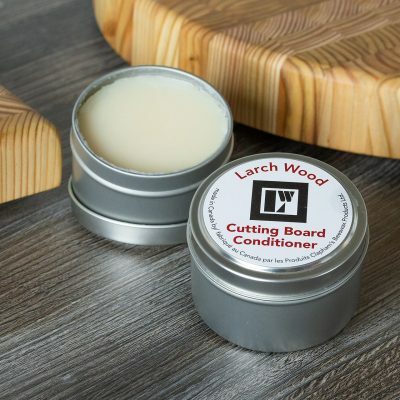 To ensure the longevity of your Larch Wood board apply our Larch Wood Cutting Board Conditioner on all surfaces monthly. Sometimes called a ‘salad bowl conditioner’ this combo of beeswax and food grade mineral oil can be used on any unfinished wood. 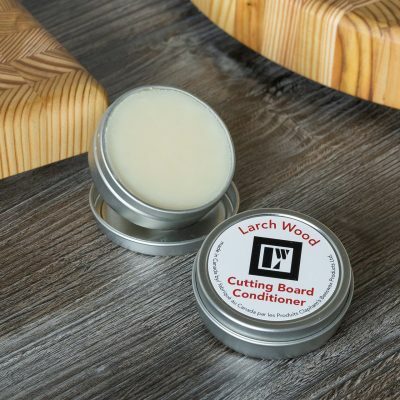 Other uses for Larch Wood Cutting Board Conditioner – Surprise!